Today marks exactly six months until the Gold Coast hosts the Commonwealth Games, the excitement here on the ground is at an all time high! It's around this time six years ago the coast was awarded the Games, at the time our economy was still suffering from the global financial crisis hangover. 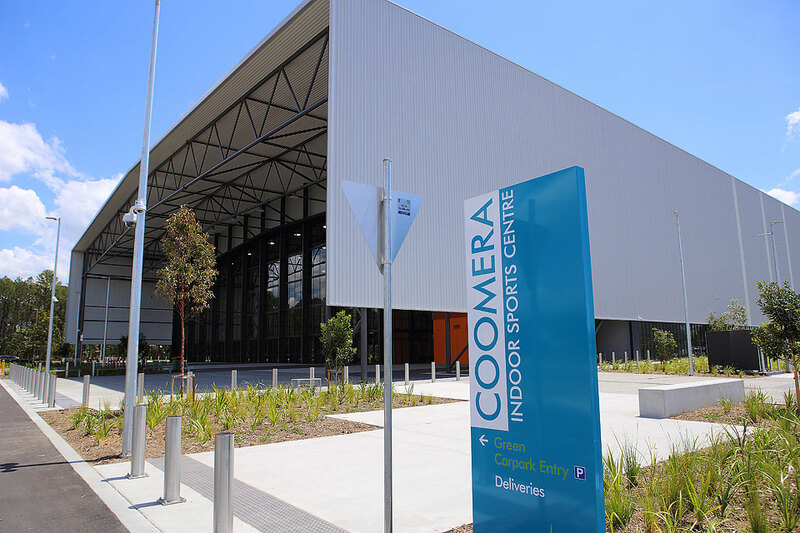 Now, six years have passed and the coast is awash with a multi-billion dollar wave of Games-inspired projects from an array of new sports stadiums such as the Coomera Indoor Sports Centre on the Northern Gold Coast (pictured below), to a magnificent light rail extension on track for early completion, to a six-star hotel tower at the Star casino site at Broadbeach. Visit our Northern Gold Coast communities, ever so close to the Games infrastructure HERE. Legacy was the key driver behind the decision by the state and federal governments and Gold Coast City Council to bid for the Games – “hard” legacy, in terms of new sporting facilities and other infrastructure and the thousands of jobs they generate; and “soft” legacy, including ongoing tourism growth, improved service standards and enhancing the Coast’s and Queensland’s reputation for hosting major events. 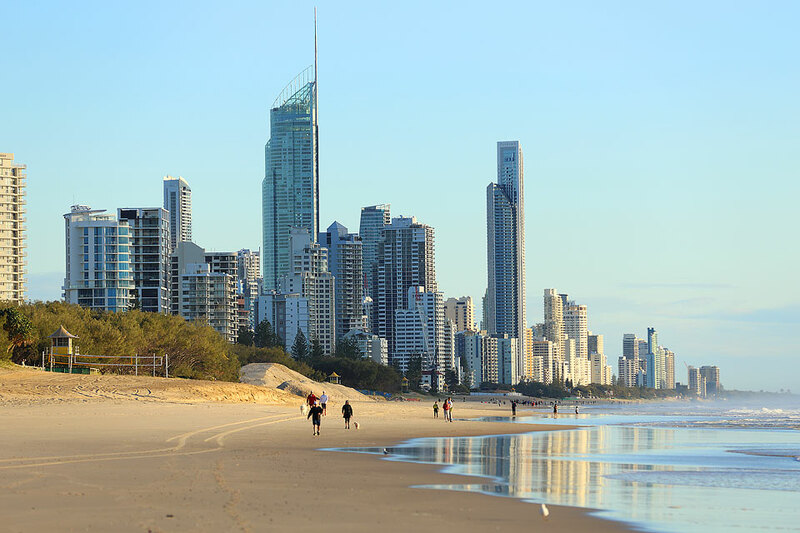 A recent report by Griffith University found the Games would contribute $2 billion to Queensland’s Gross State Product, create 16,000 jobs, generate an additional $2.6 billion in additional public and private sector projects and attract 672,000 visitors in a $320 million tourism boom. 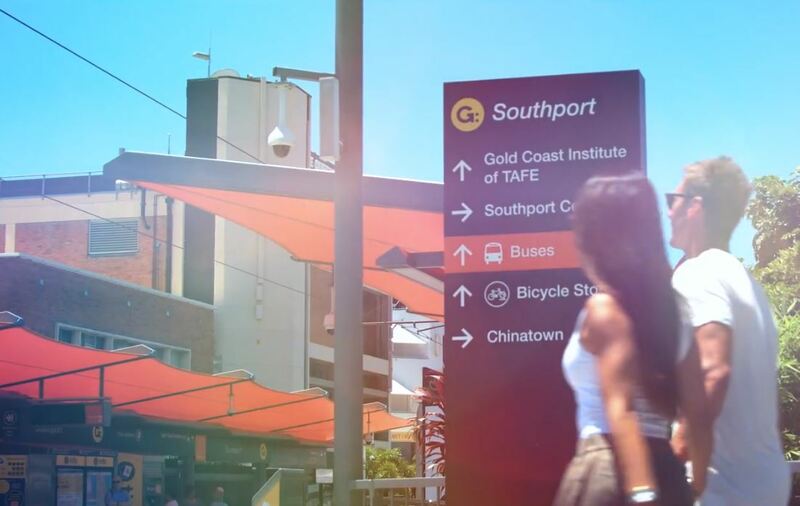 Visit our Southport apartments, within the bustling Southport precinct & Gold Coast Aquatic Centre HERE. “Queensland is about to stage the biggest event in its history and it will be a game-changer in so many ways,” Tourism and Commonwealth Games Minister Kate Jones says. “The benefits of an event of this scale extend well beyond the 11 days of competition, it will leave a lasting economic and social legacy for our State. “The Games are injecting billions into the economy, supporting thousands of jobs and delivering world-class facilities that will benefit Queenslanders for years to come. “Showcasing Queensland to a global audience of 1.5 billion across key international markets will mean significant long-term tourism gains. “The $2 billion uplift to the Gross State Product and millions of additional export dollars in the coming years across education, health services, food and agricultural products are examples of how this event is supporting a diverse and resilient economy. “From world-class infrastructure to targeted legacy programs, the Games are transformational on many levels. “Arts and cultural celebrations from Cairns to Townsville, Brisbane and the Gold Coast through Festival 2018 also show that the spirit of the Games – and the community pride that comes with it – reaches across the State. Such is the importance of legacy that former Queensland Premier Rob Borbidge was appointed to head an advisory committee, Embracing 2018, to focus attention on maximising the benefits of hosting the Games – not just for the Gold Coast but the entire state. Source: Courier Mail.